Quintessential McIntire Brick Antique! Single family home in downtown Salem's Historic District blends old world charm with modern convenience. History surrounds you in this five bedroom, 4 full bath home with beautifully proportioned rooms, high ceilings, architectural details & three levels of luxurious living space. Two car parking. Walk to Salem Public Library, Athenaeum, downtown shops, trendy cafes, restaurants & waterfront. Walking distance to train into Boston or take the ferry for a scenic ride to the city. 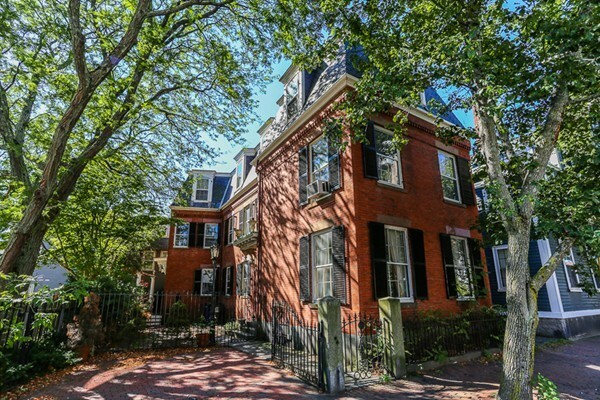 Enjoy the vibrant city life Salem has to offer; if you love history & architecture this is the home for you! family room has no heat.